The U.S. government is asking for a nationwide recall of vehicles equipped with exploding airbags made by Takata. It would be an expansion of a current recall which covers eight million vehicles made by 10 different automakers. Until now the recall has been limited to vehicles located in warmer states with humid climates. The call for the expansion comes after the National Highway Traffic Safety Administration discovered a second airbag that exploded in a location outside the regional recall. The flawed airbags can explode and hit passengers with shrapnel. At least four U.S. drivers of Honda and Acura cars are believed to have been killed by the airbags, according to the Center for Auto Safety. But on Tuesday night, Takata indicated it was not yet willing to expand the recall. The Japanese company said that none of the roughly 1,000 airbags it has tested outside humid climates have ruptured. While the airbag manufacturer said it remains committed to addressing safety issues promptly, it's concerned that a nationwide recall could divert replacement airbags from where they're needed most. Takata doesn't have enough replacement airbags to immediately fix all the eight million cars already recalled. 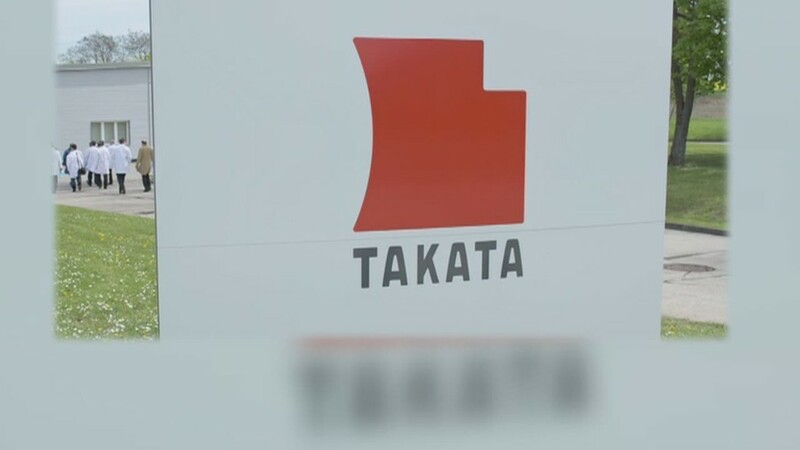 NHTSA Deputy Administrator David Friedman said the company could face a fine of up to $35 million if it does not agree to the nationwide recall. The expanded recall would only affect vehicles made by Ford (F), Honda (HMC), Chrysler (FCAU), Mazda and BMW -- but the regulatory agency was still working Tuesday on how many more cars would be included. Honda, which has recalled more than six million cars worldwide for the airbag problem, said it would continue to cooperate with NHTSA and would expand the recalls as warranted by the developing investigation. Chrysler and Ford said they were examining NHTSA's request to expand the recall. BMW already conducted a nationwide recall.